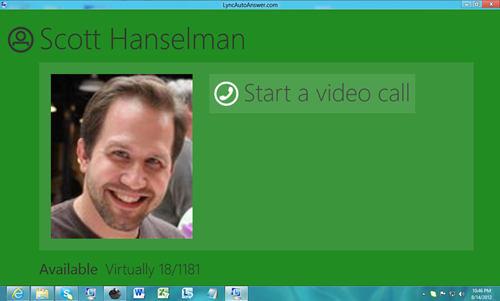 I have a machine at my remote office in Seattle that is dedicated to Lync Video. For whatever reason the Lync folks don't include basic checkbox options like "Auto Answer" and "Start Video Automatically when someone calls" and "Make Video Fullscreen". 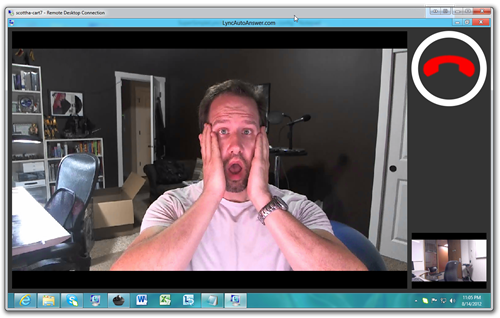 So, I did all that myself using the Lync SDK. Which is a nightmare. But it's done, so that's something. I have dozens of articles on my blog dedicated to Remote Work setup that I hope you check out. I wrote about this LyncAutoAnswer project as well. Feel free to have fun with the code, but we only guarantee that it "Works on My Machine.©™"
If you just want something that works and don't want to build it yourself, grab one of the binaries on the right. They're the Release builds of each of the different editions, built for AnyCPU. The readme in each file has specific instructions. The general idea is simple. You create a Lync account that is NOT you; it's an account for your cart and the one you will call. Mine is called "Cart #7." I made a Domain Account that does NOT have the ability to login to a desktop. It doesn't have file system or network share access, it can only use Lync. Then I setup my remote machine to auto logon when it boots up. I also disabled it's power management and screensaver as this is a dumb kiosk. And that's it! The kiosk does the rest. There's two editions of this project. The 'normal' way is to run code alongside the Lync Client - Non UI Suppressed. The other way is to run UI Suppressed. Both versions are below so you can see the differences: read about them and pick your favorite to play with. This got written and blogged about first. It doesn't require you to do anything special other than have Microsoft Lync 2010 running. It will auto-answer calls, connect video and go full screen. A special nod to the InputSimulator project on CodePlex, as I'm using his excellent library. To build or change this project, open the proj file in the Not UI Suppressed folder. After writing the Not UI Suppressed edition, I reached out to Tom for help with making a UI Suppressed	version so I could do true full-screen and have more control, as it's complicated to use Lync in UI Suppression Mode. The guys at Modality Systems wrote me a wrapper class (also a GitHub project) which takes a lot of that pain away, and refactored my code to make a UI Suppressed edition. You can see, build or change the UI Suppressed version by opening the proj file in the UI Suppressed folder. 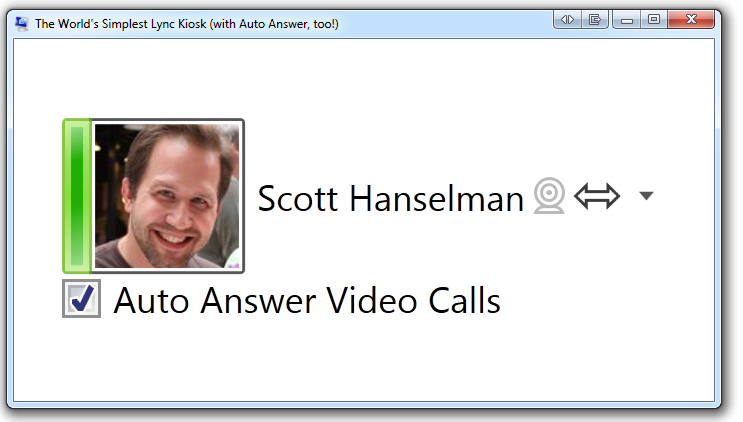 The UI Suppression edition uses the Lync-UISuppression-VideoAutoAnswer project. Scott's blog post about writing the Not UI Suppressed edition as well as this new UI Suppressed Edition. 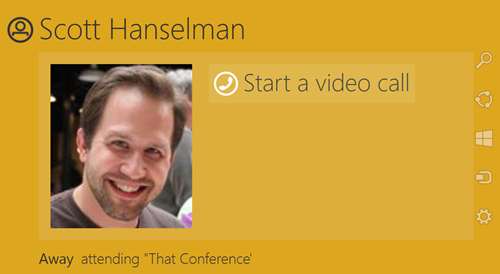 Scott Hanselman is a web technologist and teacher. He works out of his home office in Portland for the Web Platform Team at Microsoft, and blogs at Scott Hanselman's Computer Zen. 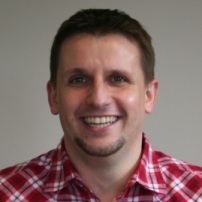 Tom Morgan is a software engineer based in Norwich, Norfolk. 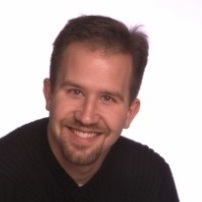 He works for Modality Systems and blogs at ThoughtStuff and the ModalityDev blog. 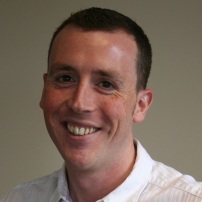 Paul Nearney heads up the software development and consultancy team at Modality Systems.He blogs at CodeLync and the ModalityDev blog. Modality Systems is a specialist provider of strategic and technical consulting services for communication and collaborations technologies and software development for Communications Enabled Business Processes (CEBP). The product development team blog at ModalityDev about writing great software.